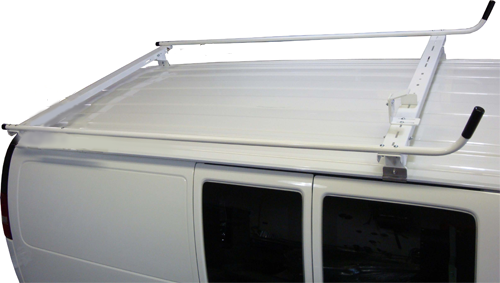 Aluminum Ladder Racks for Full Size Vans- Never Rust! 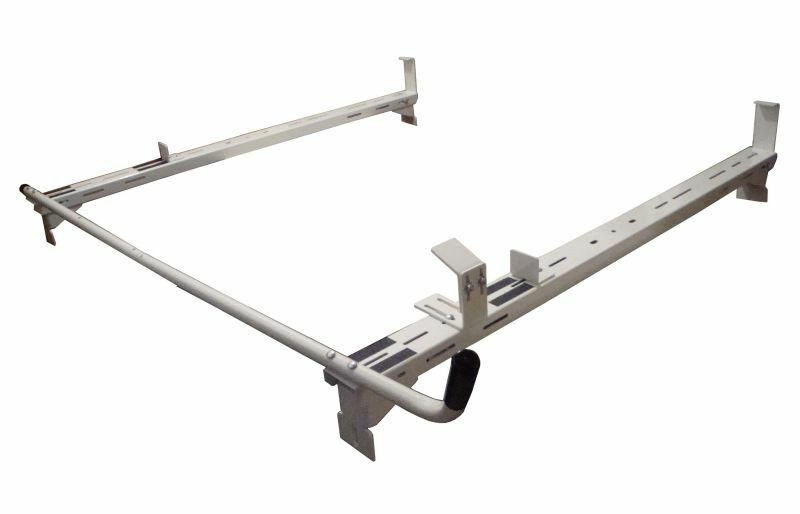 Aluminum Long-Lasting & Innovative Design, Quality Product. 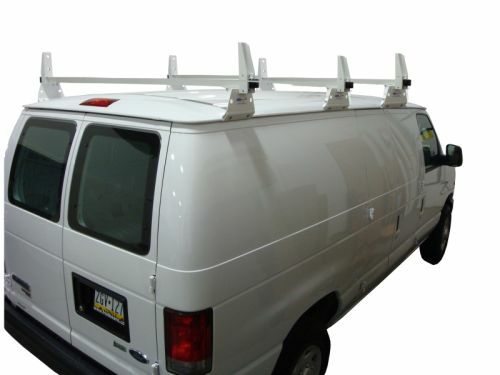 2 Bar / 3 Bar (450 lb) Aluminum Ladder Racks Strong, Stylish, Durable - White Powder Coat finish. 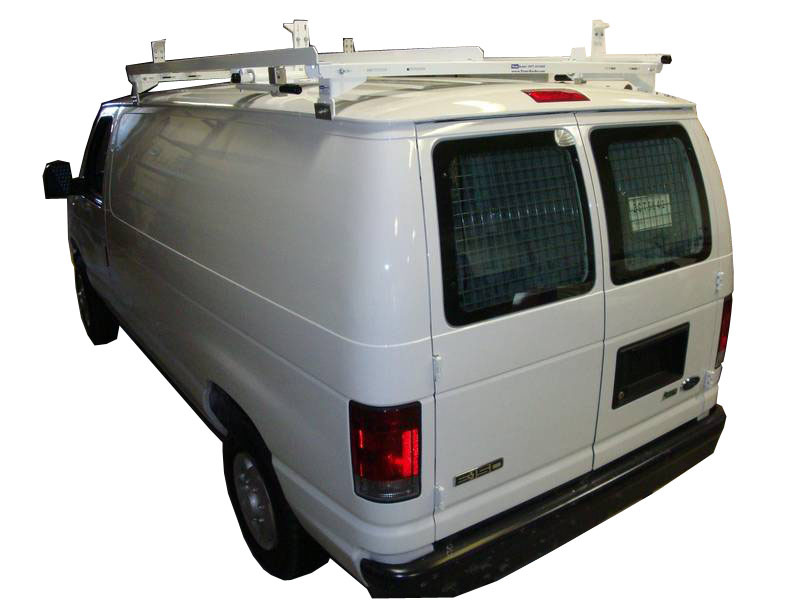 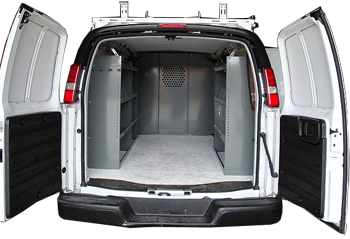 Aluminum Ladder Racks with Ladder Locking System - Full Size Cargo Vans Flat Cross bars reduce overall vehicle height and make it easy loading and unloading ladders.